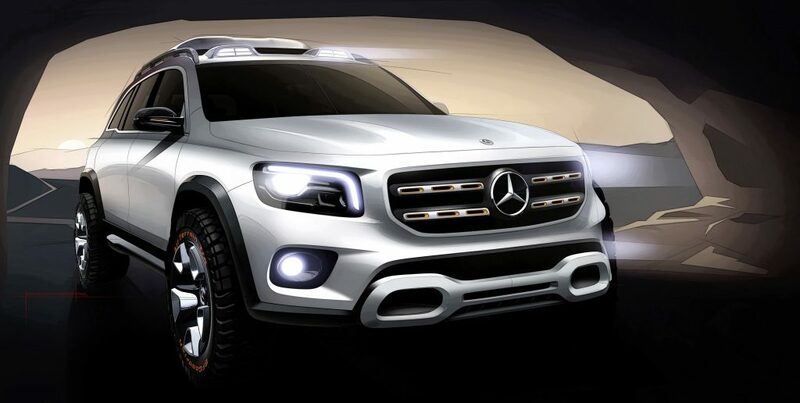 When the plans for the Mercedes-Benz GLB surfaced, we were expecting a baby G-Class. 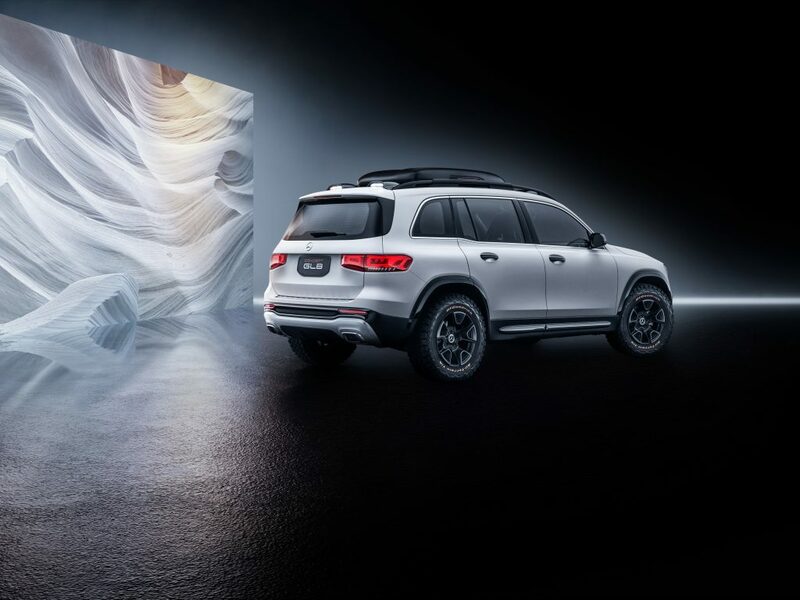 However, when the photos and specifications of the concept vehicle were unveiled ahead of its scheduled debut at the 2019 Shanghai Auto Show, it wasn’t the case. 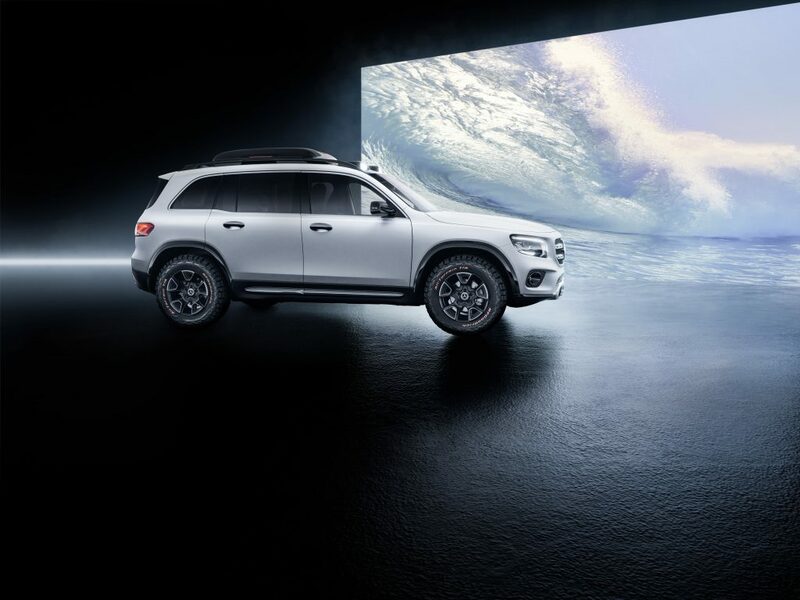 Nevertheless, we are now looking at the fresh take of the German automaker of what a rugged sport utility vehicle should look like, and it’s actually better than what we expected. 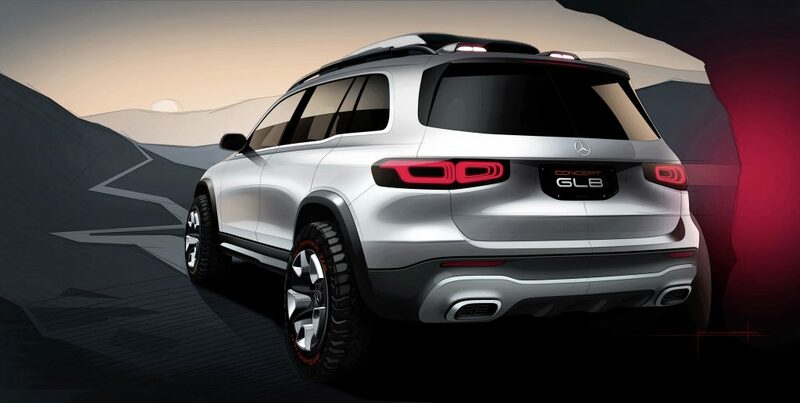 The Concept GLB is classified as a compact SUV, yet it its overall appearance is muscular. 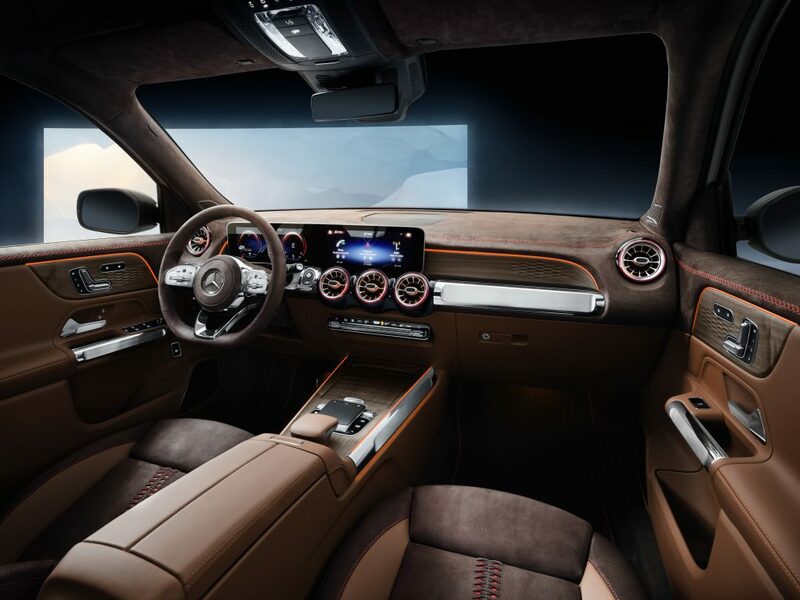 It has a long wheelbase measuring 2,829 millimeters too. 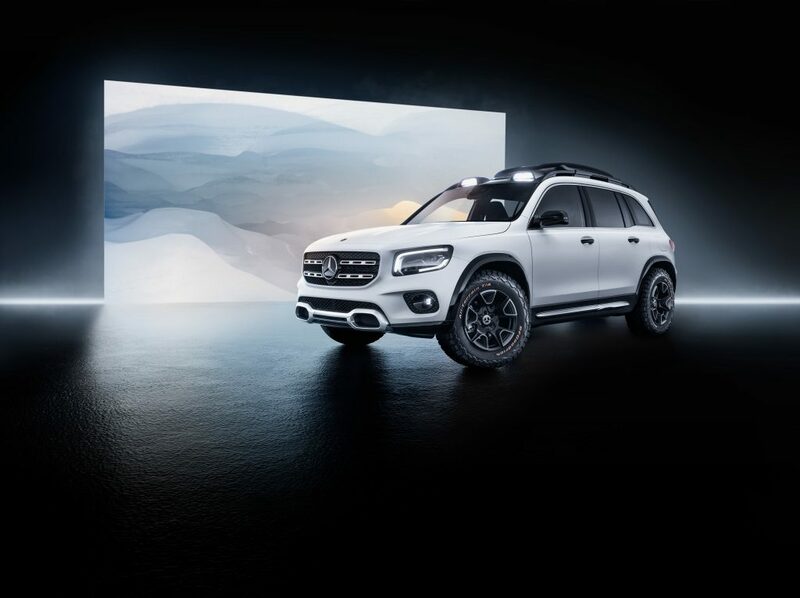 In addition, the auto benefits from the clear and clean surface styling brought about by Mercedes’ emotional design language that features minimal body lines and sexier contours. 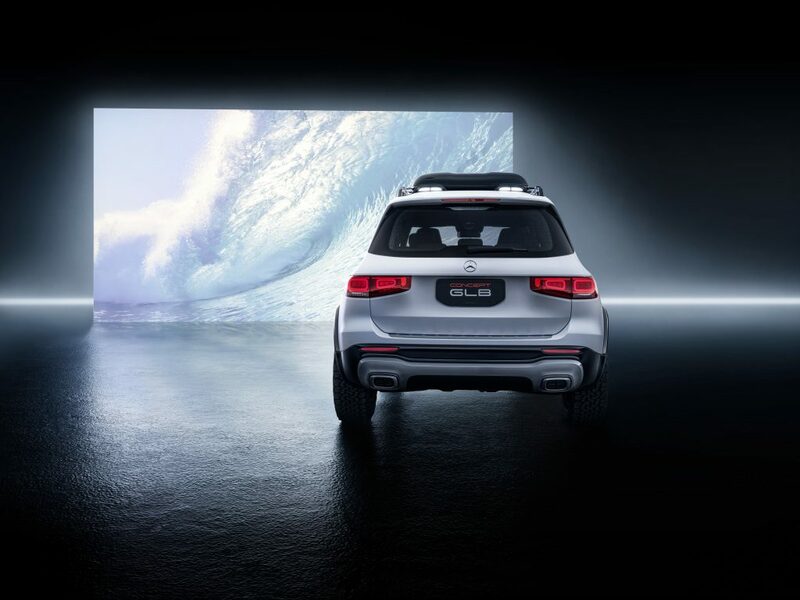 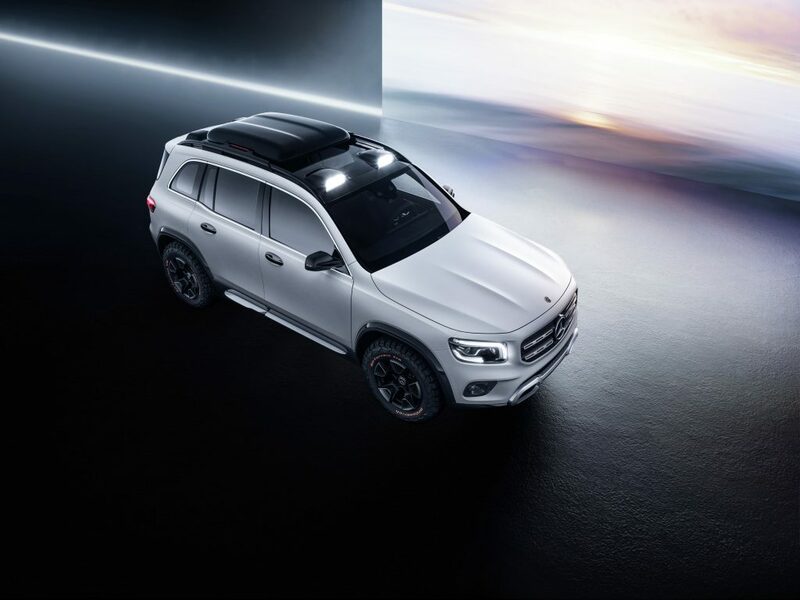 The concept SUV comes with a design cashmere white magno finish and contrasting high-gloss black accents. 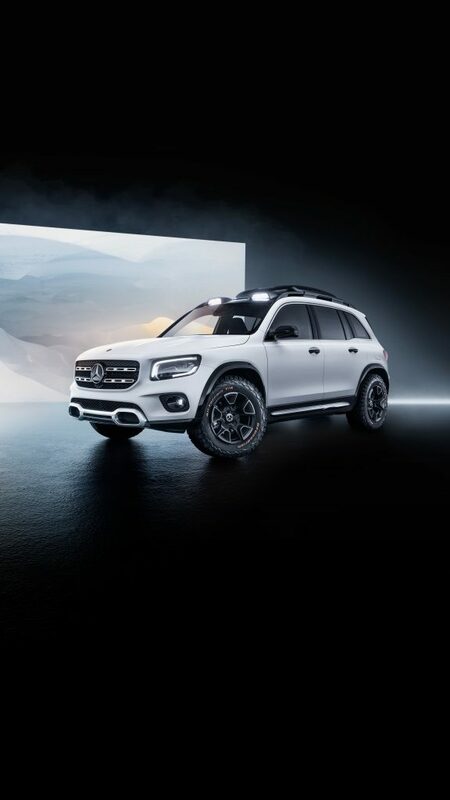 It carries the MULTIBEAM LED technology in its headlamps, roof rails with integrated roof box at the rear, chrome radiator grille with orange highlights, chrome front underguard with large air inlets, and 17-inch wheels with V-spoke designs. 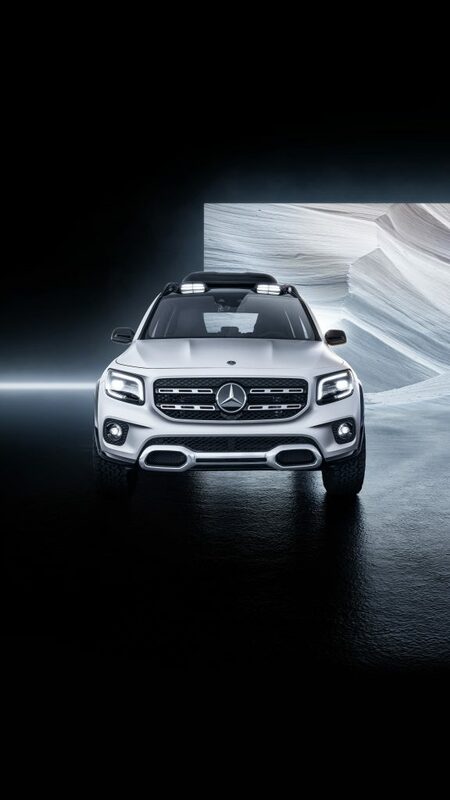 The longer wheelbase paves way for up to seven occupants within the GLB. 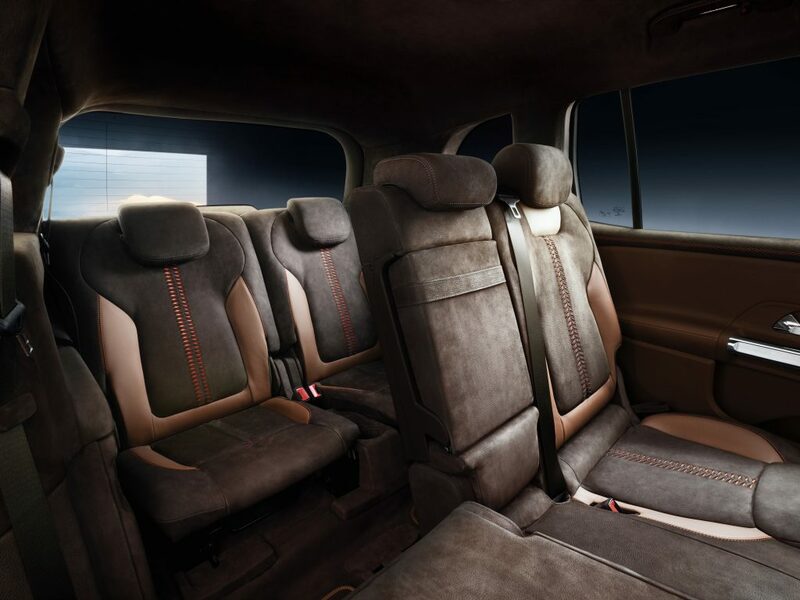 The middle row can be adjusted to make more room for either the middle row or third row passengers. 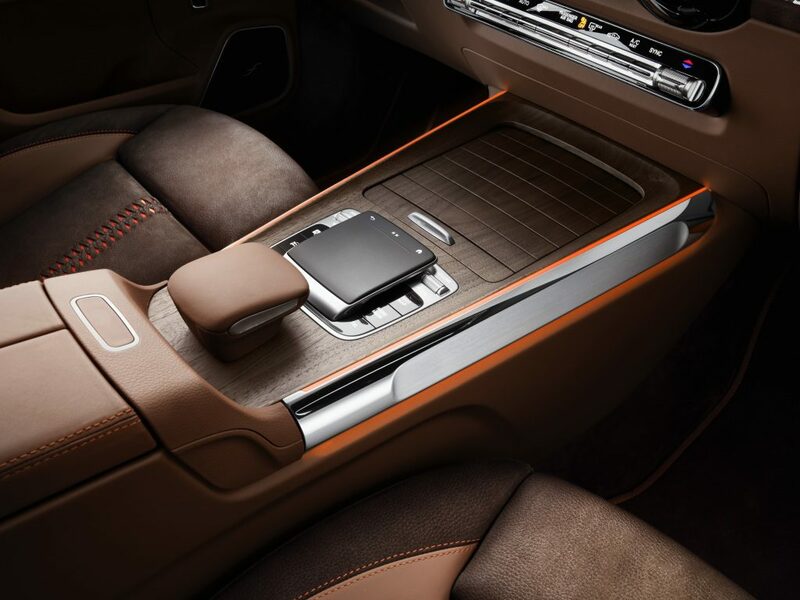 The cabin surfaces are clad in nappa and nubuk leather in chestnut brown color, except for its orange and chrome accents. 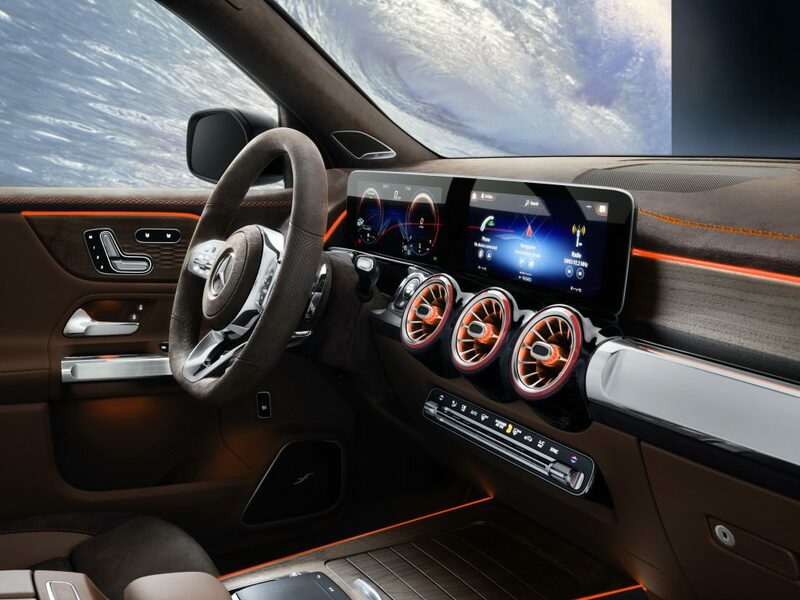 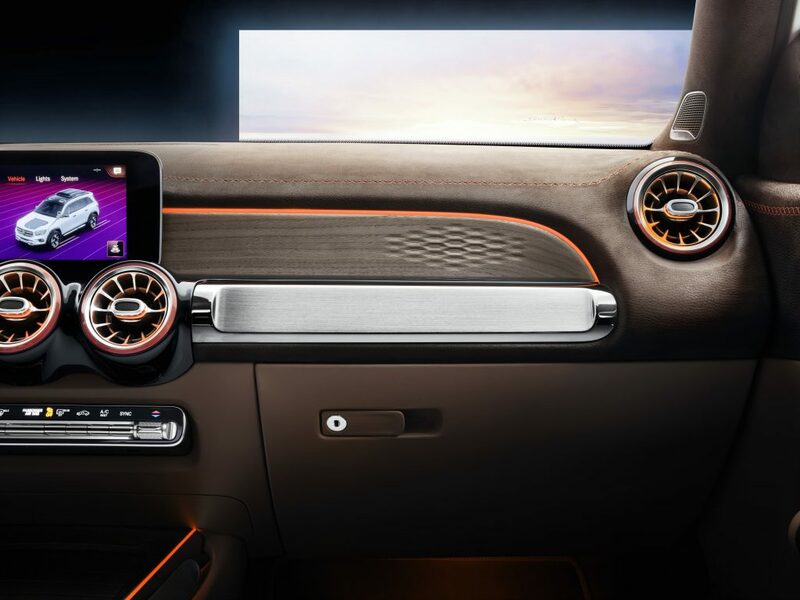 Also stealing the show inside is the vehicle’s widescreen display with the MBUX multimedia system and turbine-inspired air vents similar to the A-Class Sedan. 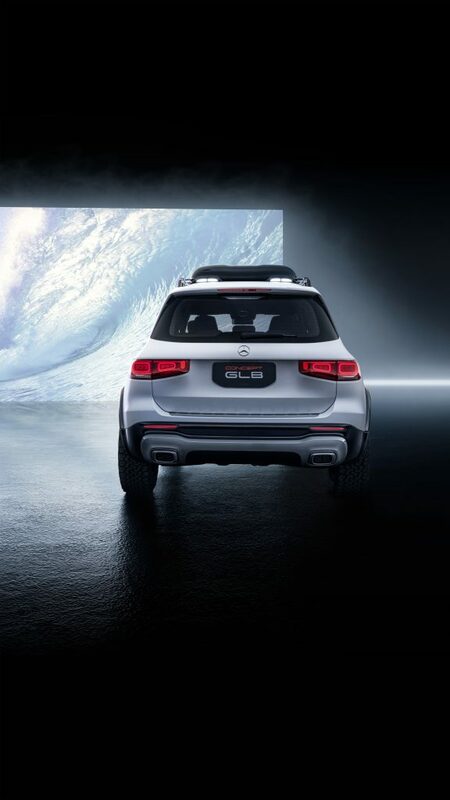 The icing on the cake comes in the form of the GLB’s 2.0-liter turbocharged four-cylinder engine. 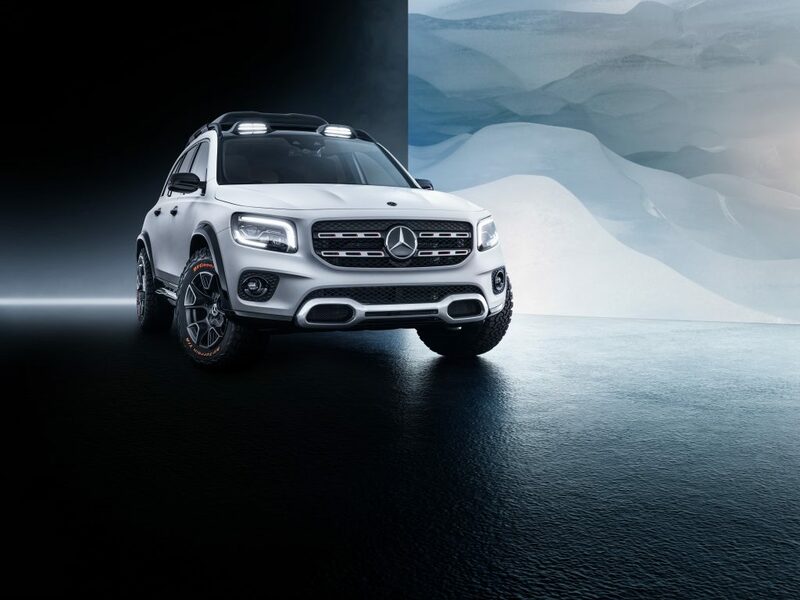 The M260 petrol unit is paired to an eight-speed dual-clutch transmission distributing the power to an all-wheel-drive sysem. 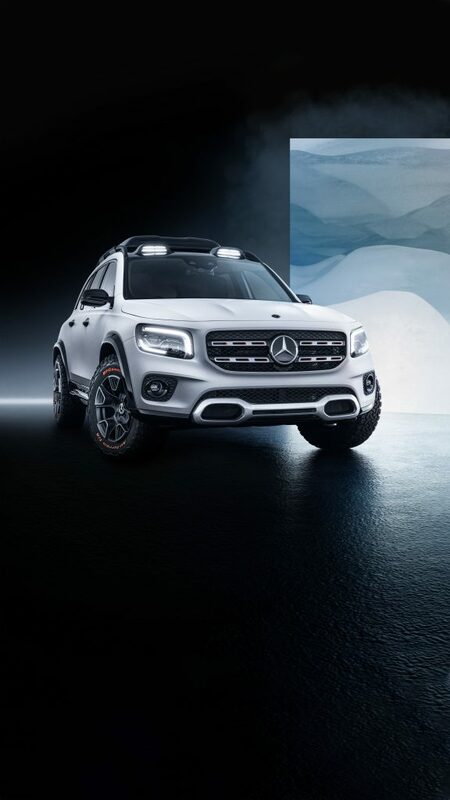 The setup produces a total of 224 hp and 350 Nm of torque. 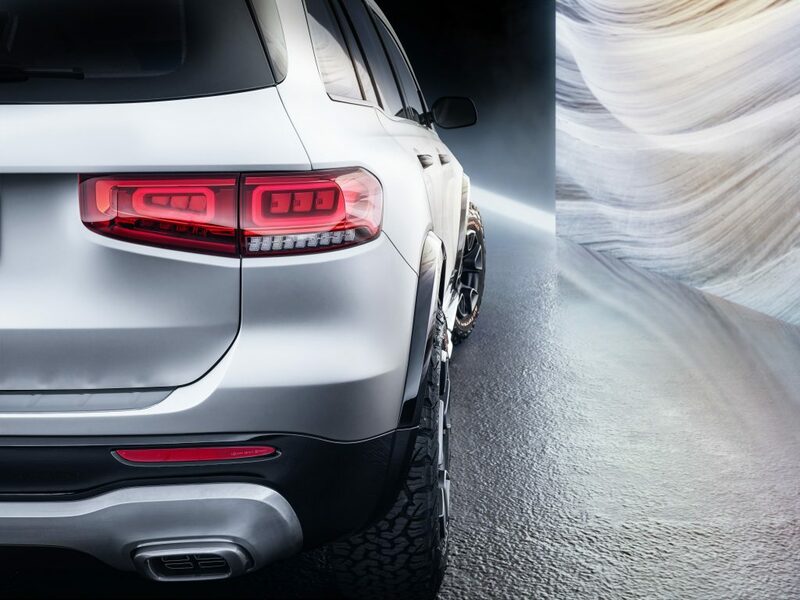 We don’t have the details yet about the top speed or the 0-100 km/h acceleration of the compact SUV though. 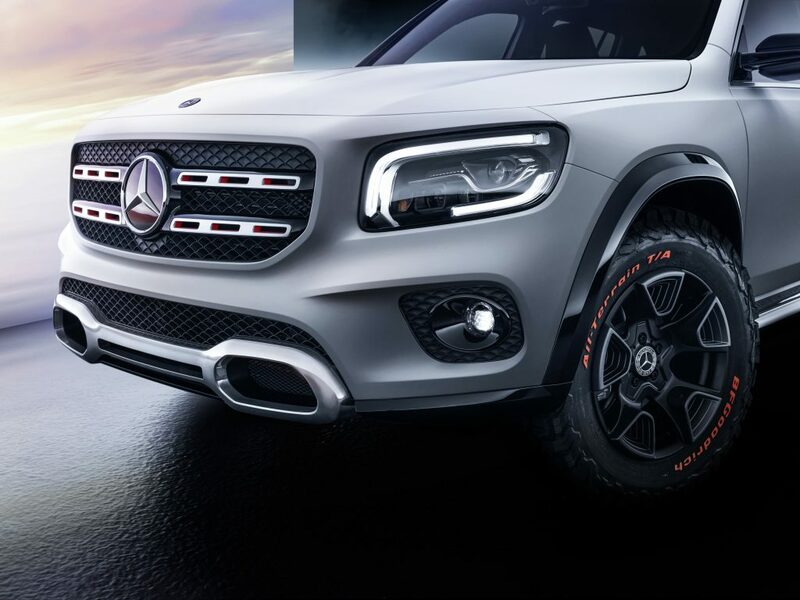 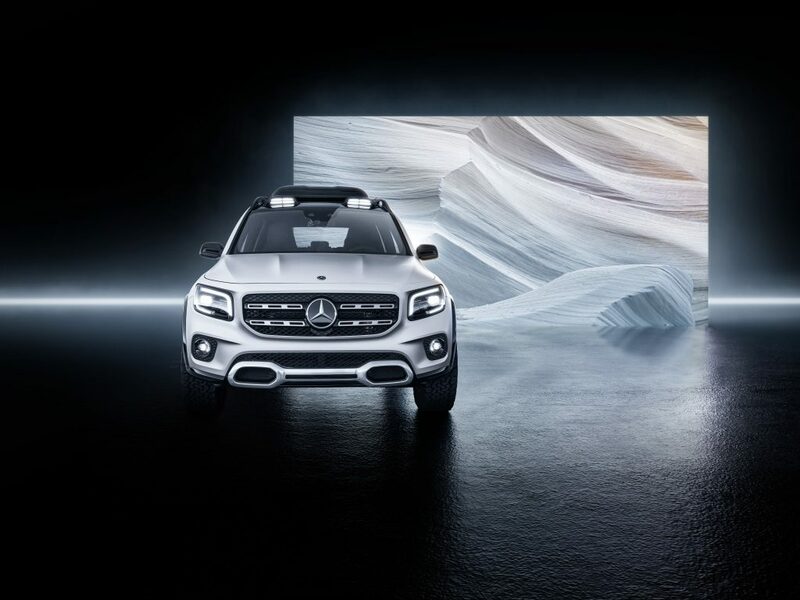 Mercedes remains mum about the production version of the Mercedes-Benz GLB Concept. 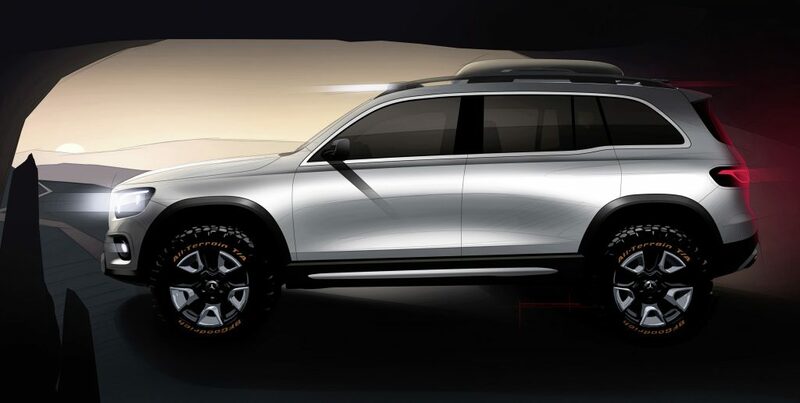 We expect it to debut later this year.